As a whole of athlete training organisation Halkswood have been busy preparing for change in 2019. Working primarily on Cycling Australia Coach Education has meant spending less time at the races and more time looking at results on screen. University still plays a large part of the professional development for Halkswood staff. We are ready to embark on the international train with our athletes heading overseas to compete whilst we prepare for the delivery of level 1 and 2 road and track courses around the globe starting with Sydney, then across to South Africa and finishing up in Asia. So much happening and so exciting! The Halkswood Training Systems training centre is complete with facilities for strength and conditioning, sports science lab and a treatment centre for manual therapies and recovery. 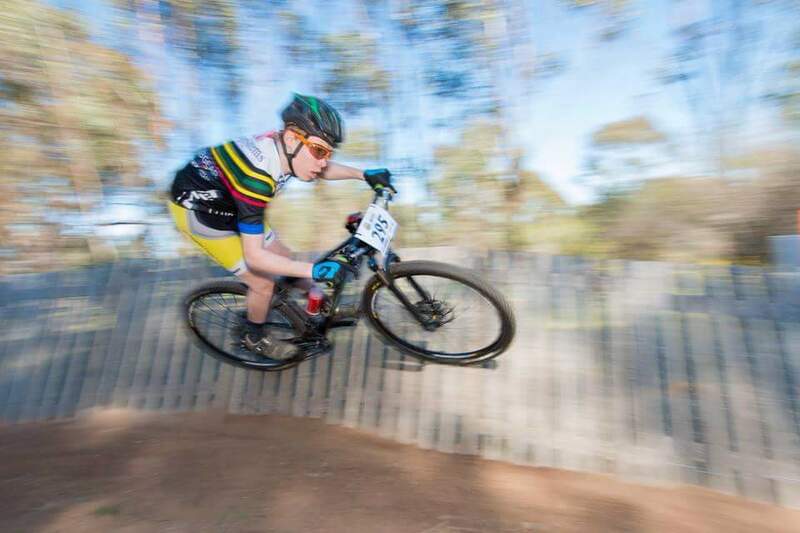 Halkswood still work with Norco Bikes Australia as brand ambassadors and encourage all of our viewers/readers to look at Norco as a bicycle brand when considering your next bike. 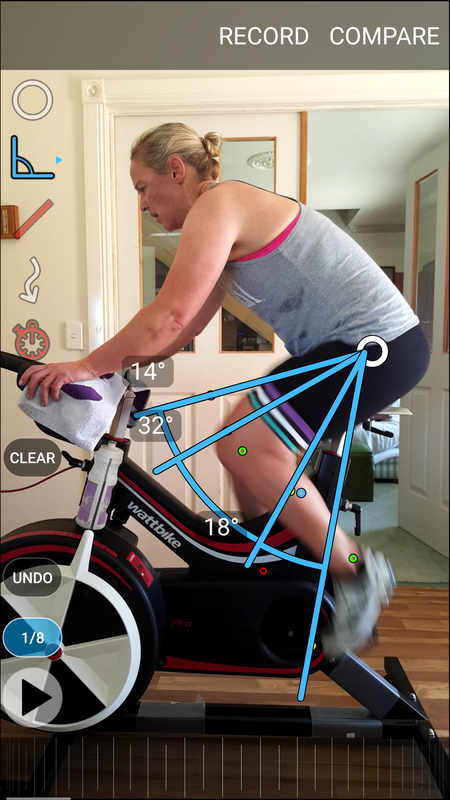 The Halkswood inspired Ergobase, Ergopower, Ergospeed and Ergopeak training programs are now ready for BETA testing throughout Australia in preparation for complete roll out which is also exciting news! We are in a transition phase of coaching where we are shifting our focus onto the development of coaches by providing opportunities and inspiring them to go beyond their areas of comfort. As a result of all of the change we have moved a large number of our athletes across to Todd Cuthbert and with our highest performers we are working as mentors and providing the opportunity for them to become exceptional independent beings as they manage their training under our guidance. The roads and pathways take many turns, lead to places we never thought and offer exciting prospects for our 4 sided pyramid philosophy. Last weekend the culmination of 12 weeks of planning and training finally paid off for Halkswood Training Systems athlete Jess Douglas. 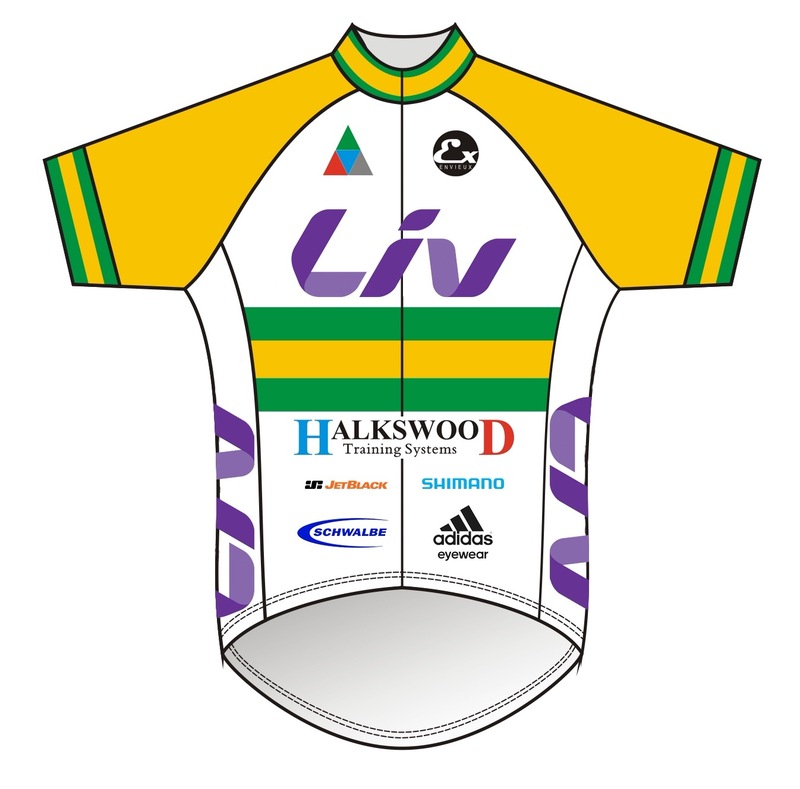 In a late plan with a quick meeting and physiology testing session we were able to assess the possibility of Jess winning another title to bring her wins up to 3 at Aust Champs to go with her 3 world champs wins. Jess needed a new approach to raise the bar on her rivals and the goal of increasing the laps over 24 hrs from 28 to 30 certainly provided a challenge for the team. We first needed to check that Jess would be able to produce the goods required to attain the goal and then develop a strategy to keep Jess focused on that goal. That meant keeping a cap on the desire to just ride, to make each session meaningful, to keep the ooogly booogley’s at bay and ensure that the vegan diet would support her workloads. 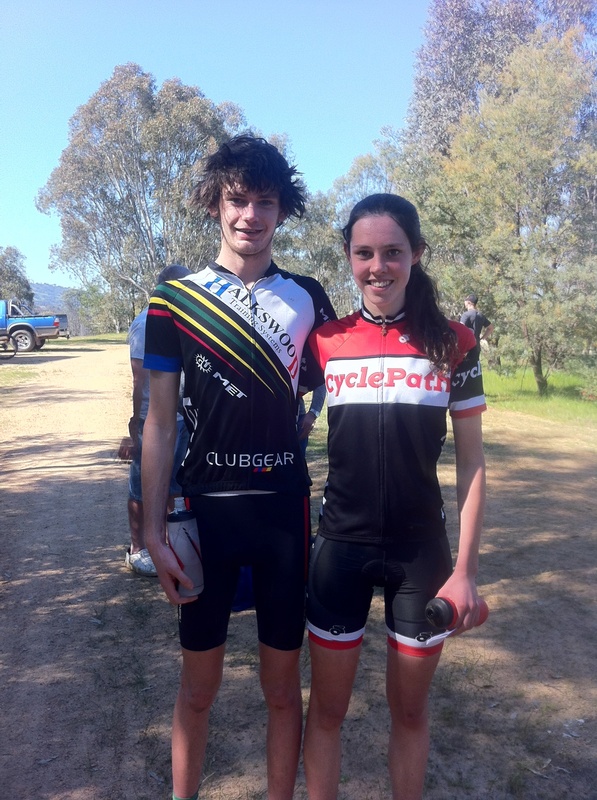 It was at the Victorian Cyclocross Championships where Halkswood were supporting our athletes Teagan Atherstone (pictured above) and Ben Walkerden to their State gold medals that we chatted about the 24 hr plan and Jess’s CX bike has played a huge role and had a hammering with distance rides and comfy recovery rides. Testing and retesting. MTB night rides at the You Yangs near Geelong and countless ergos to build a faster stronger Jess. Well, it at paid off last weekend with Jess not only achieving her goal of 30 laps, the laps were completed in 23 hrs which meant that there were 2 more as a potential. 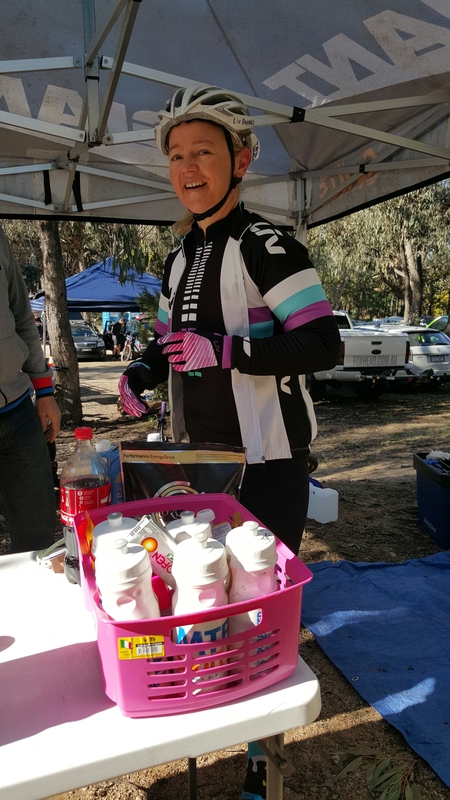 Fortunately Jess had lapped 2nd place twice which meant that she had 2 laps up her sleeve at 23 hrs. No brainer really…..call it a day and leave possibility in the bag for next year. Supported by husband Norm in the pits as before, Jess had nothing to worry about when it came to feeding, bike and lights. 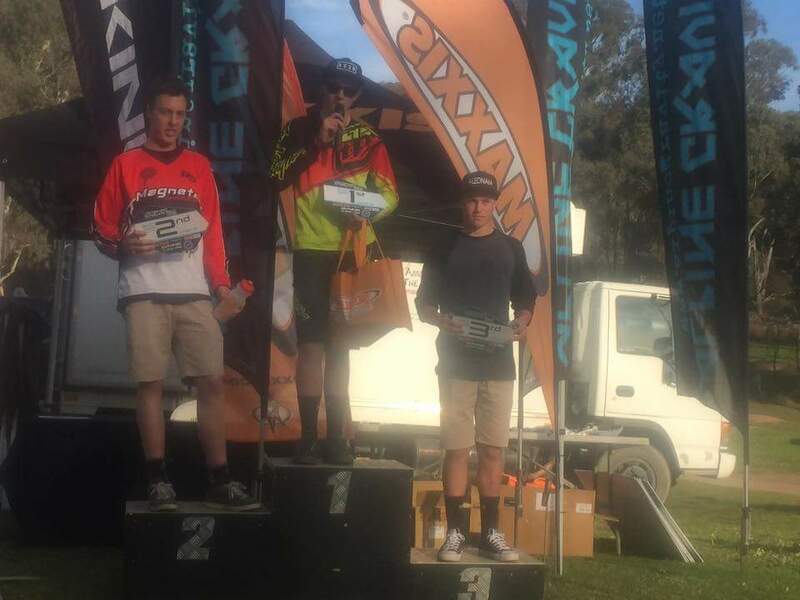 Halkswood riders Tom Snowdon and Jasper Albrecht took on the states best gravity riders at Alpine Gravity’s first round of the 2015/16 Alpine Gravity Enduro series. Tom an already seasoned enduro rider is going through the process of rider to athlete transformation and now is starting to enjoy the benefit of targeted training. So Tom, welcome to the top step! Jasper, one of our Envieux Norco team members thought it might be great to ride a bit of enduro for cross training and a skills sharpener. 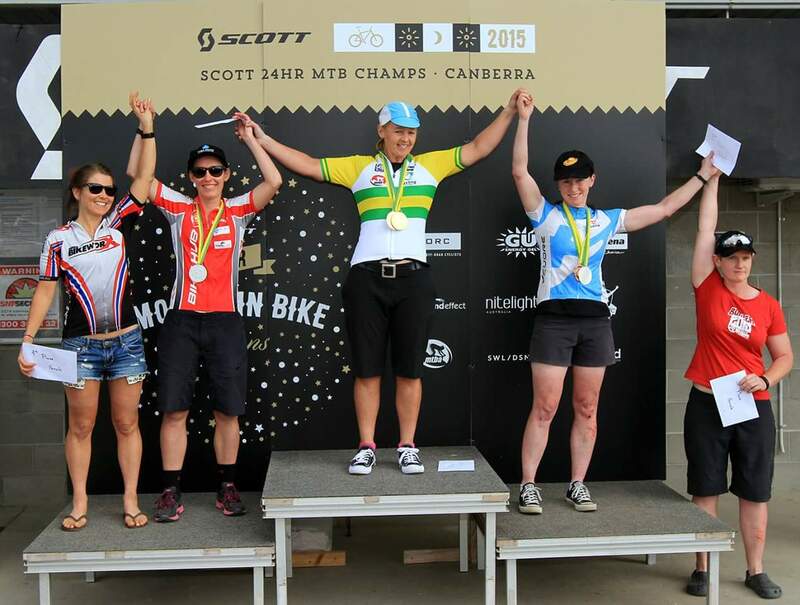 5th place on a borrowed bike is a pretty good entrance to the sport. Well done lads! Onward and upward with the 4 sided pyramid. Jas on the wall from Bendigo 6. Photo by Open Shutter Photography. 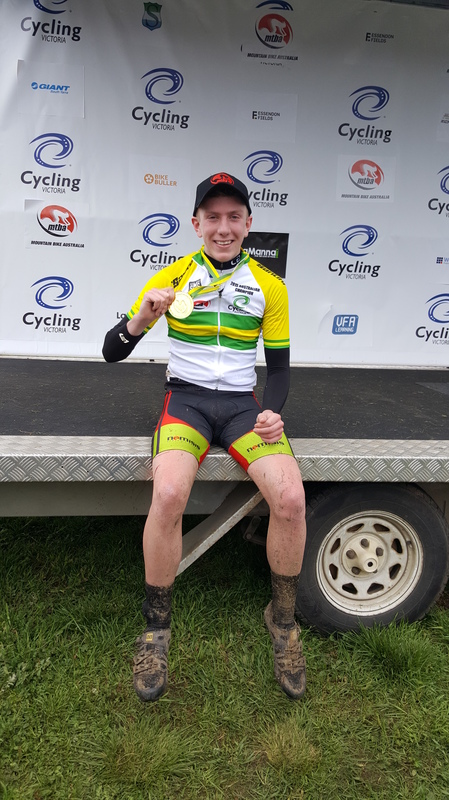 A busy August with Ben Walkerden leaping his way up the hill at Fields of Joy National Cyclocross Championships and Halkswood head coach completing a small biomechanics research project on pumping for speed. 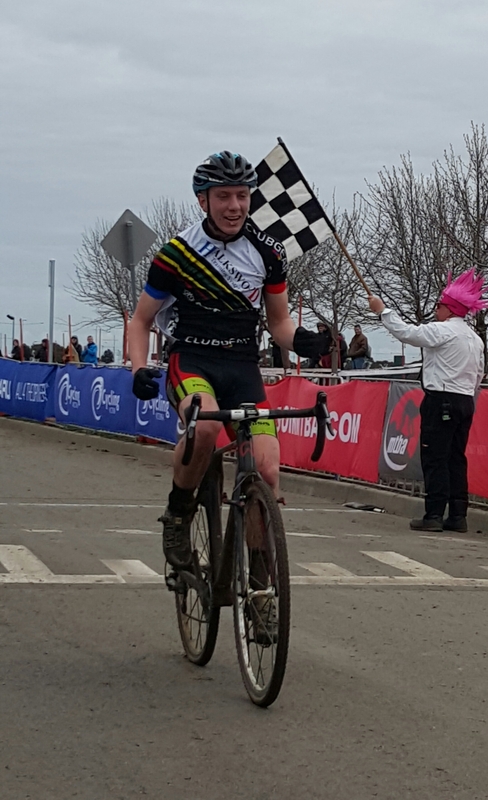 In similar style to his State Championship win Ben rode off the front of the race leaving the competition to think about second place. 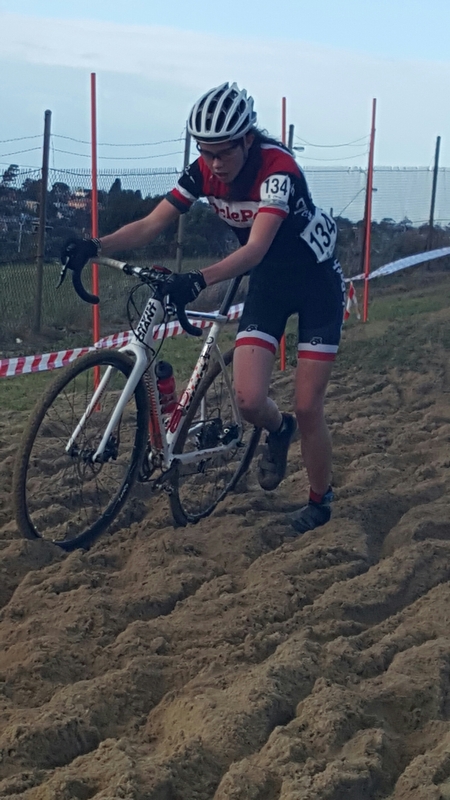 A convincing win for Ben and a perfect lead up to the question of 2016 World Championships in Zolder, Belgium. For Greg, a vice chancellor letter of commendation for the research project! Wow! What now? Planning is underway for the lead into world championship with many race options available. 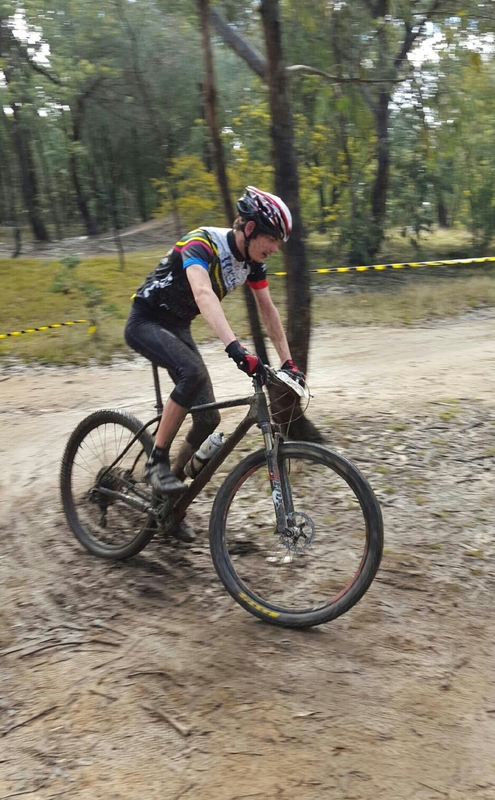 Ben had committed himself to winning the National Championships and left no stone unturned. 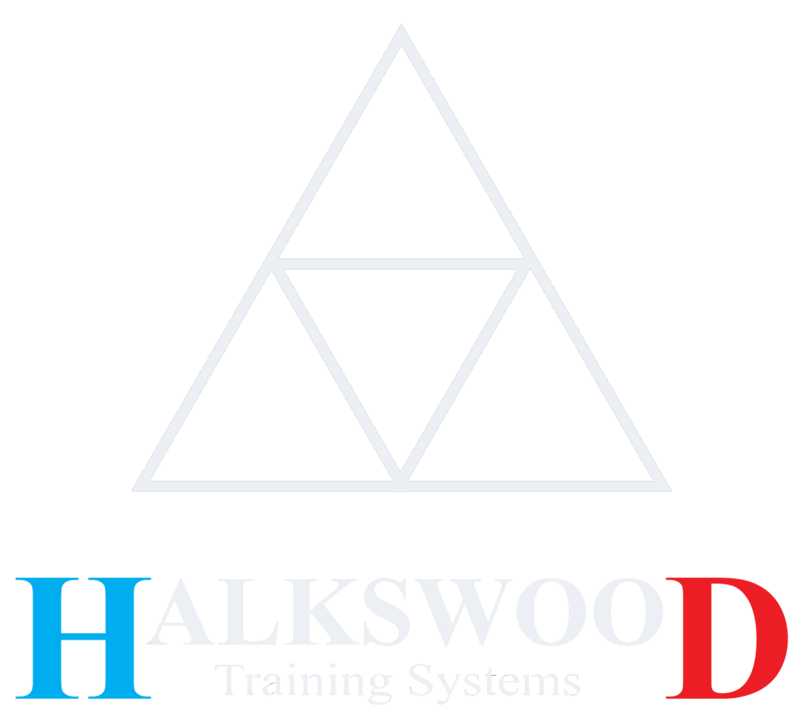 Halkswood Training Systems developed the coaching product of the trademark “4 Sided Pyramid” which was instrumental in the successful planning for this National Championship medal and also left no stone unturned. Of course Ben’s commitment makes success appear easy. However, learning about himself and what he could achieve with new found self belief and strategic training made a significant difference for Ben. Well done! Well deserved! You are a champion!